December is certainly the award season, so many movie goers are expecting some great movies during these times. Some of the best movies, as based on the past years, are based on real life and usually tackles simple plots and issues that every one could relate. The King's Speech, Argo, Beautiful Mind, The Social Network and Gandhi are just some example of them. So when the life story of Walt Disney and the creator of Mary Poppins has been green lit and eyes a December 2013 release, I personally believed that the movie is egging for an award-nomination nod from some of the award-giving bodies. It fits the bill: may be loosely based on real events, tackling simple issues that cultivate some great emotional impact among viewers. Watch this Saving Mr. Banks trailer, so you'll know what I mean. Check out the new poster of Disney's Saving Mr. Banks, starring Tom Hanks and Emma Thompson. The story of how Walt Disney courted P.L. Travers into letting him option the rights to Mary Poppins is brought to the screen in this non-fiction drama starring Tom Hanks, Emma Thompson, and Colin Farrell. A doting father, Walt Disney (Hanks) promises his adoring daughters that he will bring their favorite fictional nanny Mary Poppins to the big screen. Little does Walt realize that surly author P.L. Travers has no intention of seeing her most famous creation bastardized on the big screen, a fact that makes keeping his promise a difficult endeavor. Years later, however, when Travers' book sales begin to slow, dwindling finances drive her to schedule a meeting with Disney to discuss the film rights to the beloved story. For two weeks in 1961, determined Disney does his absolute best to convince Travers that the film version of Mary Poppins will be a wondrous and respectful adaptation, meanwhile the author only grows more convinced that she has made the right move in preventing the proposed film adaptation. Later, just when it begins to appear that the rights to Mary Poppins have slipped through his fingers, the ingenious Disney reflects back on his childhood, and realizes that a sensitive chapter from Travers' youth could be the key to clinching the deal. Bradley Whitford, Paul Giamatti, and Jason Schwartzman co-star. 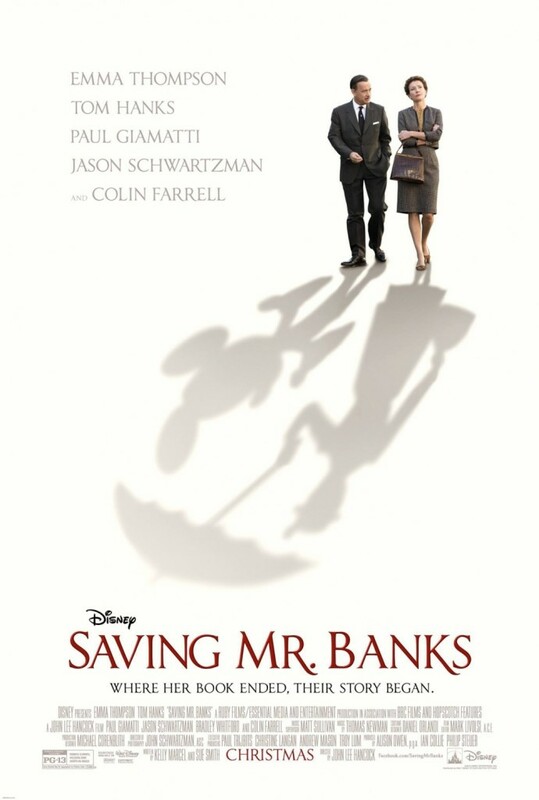 Saving Mr. Banks opens in theaters on December 13, 2013.